Wimbledon men’s centerpiece, the 2013 is “Kei Nishikori” player. There are Shuzo Matsuoka of former professional tennis player, famous for its “Become hotter more!” as the Japanese player who competed in the Wimbledon in the past. Meanwhile, ranking at the time of Matsuoka’s player 82. 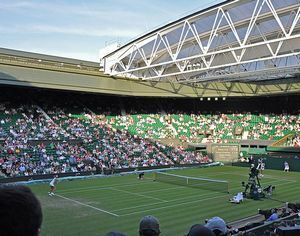 I played the last eight into 62 years since 1933 at Wimbledon, which was held in 1995. Player (Kei lump in) Kei Nishikori this time, I participated in Wimbledon, 11 singles in the ATP rankings self-highest in the 24-year-old. Player Kei Nishikori this time, I participated in Wimbledon, 11 singles in the ATP rankings self-highest in the 24-year-old. You have been a great thing as a Japanese, he became the subject of expectations at Wimbledon. Winning play against “Matthew Ebden” Mr. in the first round. Winning play against “L · Leonardo Mayer” Mr. in the second round. The lost match of the third round of the “Andreas Seppi” Mr. I did not become a top 16 advance. Feeling of “Oh Oh” is undeniable. The only thing that went on winning any thing terrible. Moreover, the young and the 20s still. I have a good fight. I used to come, want to play an active part in participation. If nothing else it was the center of attention at Wimbledon girls, it would be “Kimiko Date”. She is 42 years old. 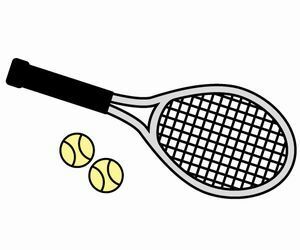 Competed in the Wimbledon also in 1996, was enjoyed good results, but declared the retirement when I climb up to 8 in the world rankings. What, professional return in the 37 years after retirement. It has been worried after return, because there was a blank, but won the Tokyo Ariake International Women’s Open singles of 2008. Was also played four major tournament, but the final round of 2009 was eliminated in the first round. The victory in the come-from-behind victory was one in the world rankings in 2009 to 2010, the Russian “Dinara Safina,”! Straight win in the “Nadia Petrova” in the first round Australian Open singles. I was the oldest update record victory in this tournament. Physique also petite, why age also how can play powerfully so much of her 40s. Experience? Technology? Mental strength? It is a very strange. In this time, Wimbledon played five consecutive years of active duty after re-challenge. Partner of First Round “Karina Bitchihefuto” is 18 years old. Landslide victory without together with ALL the age difference. Second round opponent of the “Alexandra Cadantu”. Victory somehow picked up the ball tenaciously. Position 1 WTA ranking “Serena Jameka Williams”. There are two or more times a track record to win, very strong player. WTA singles ranking was the 65. Environment because it was not well-equipped. People, it is a thing to look for Mau “Can not, excuse” various. Rather than lament the fact that you do not have, I hope that the mind, the attitude of her aim to win maximum, leverage, and wrought what have as my will is influenced by the many young people more. Нey there, I think your website ight be having browser compatibility issueѕ. when οpening in Internet Explorеr, itt has some overlapping. I juѕt wanted to give you a quick heads up! Other then that, great blog!